Days of Wine, Roses, and Glory! An iconic moment in fantasy fiction is the grand tournament. From the archery contests of Robin Hood to the jousts of Ivanhoe, it seems like half the stories about the Middle Ages have the heroes attend such a festival somewhere along the line. Whether honoring the king's birthday, the birth of a saint, the nation's victory over its enemies, or just because it's Midsummer's Day, festive pavilions are raised and flags and pennants flap in the rising breeze to signal that it is time for the main event to begin! However, even in the real-world tournaments were about far more than bows and lances, and in a fantasy game the options for what would constitute a friendly (or even not-so-friendly) competition are infinitely varied, from gritty and brutal feats of raw strength to magical marvels of the highest fantasy. You'll find athletic contests for running, riding, jumping, and more, to caber tossing, target shooting, tag-team wrestling, and armored ring races! From prosaic rural delights of a country fair to exotic events like the tower of jewels and pillars of life and death, Royal Tournaments is a fantastic resource for incorporating tournaments and festivals into your campaign, including an array of different tournament events and awards, some physical, some magical, some social, and all delightful. 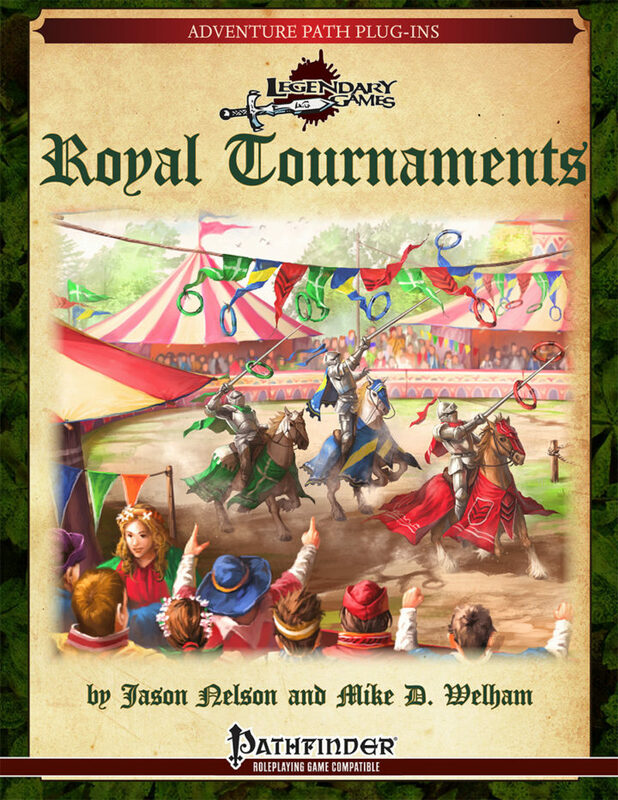 Whether your players want to promote the interests of their own kingdom or simply fight for glory and prizes, Royal Tournaments has everything you need to make the tournaments in your campaign magnificent and memorable. Grab this 42-page Pathfinder Roleplaying Game accessory today and Make Your Game Legendary!